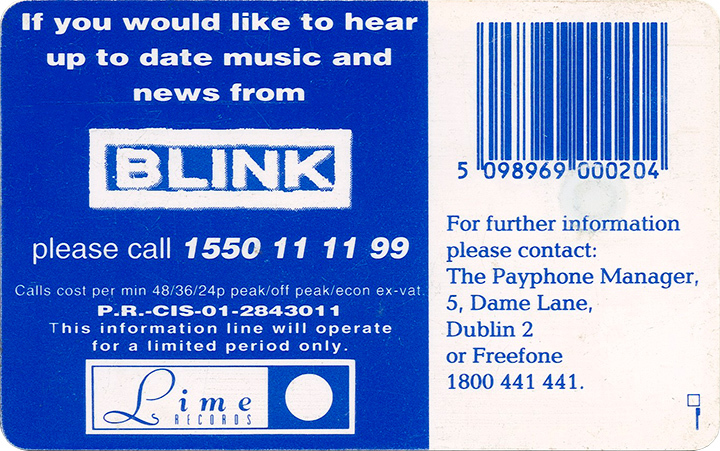 Advertising Callcard for Irish band "Blink". 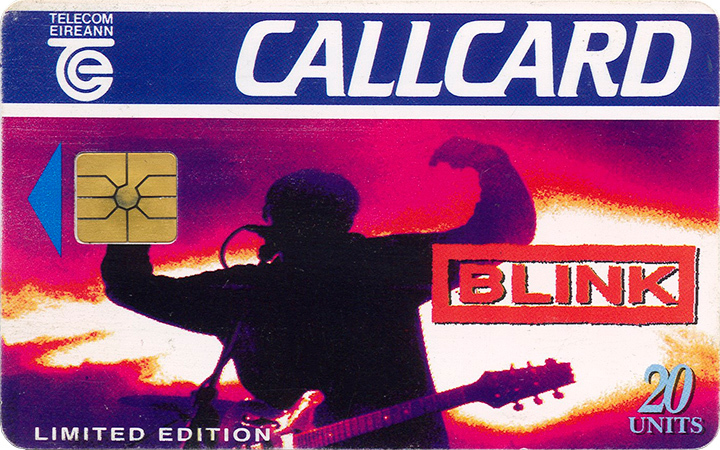 A number of these Callcards were used as a membership cards for the band's fanclub. A quote from band member from band member Robbie Sexton posted on wheresmygrandad says "clever people in EMI suggested to Telecom Eireann that a good way to promote Callcards was to put popular artists on them and they kindly offered to give them Tina Turner and Garth Brooks. You can guess what the trade off was!